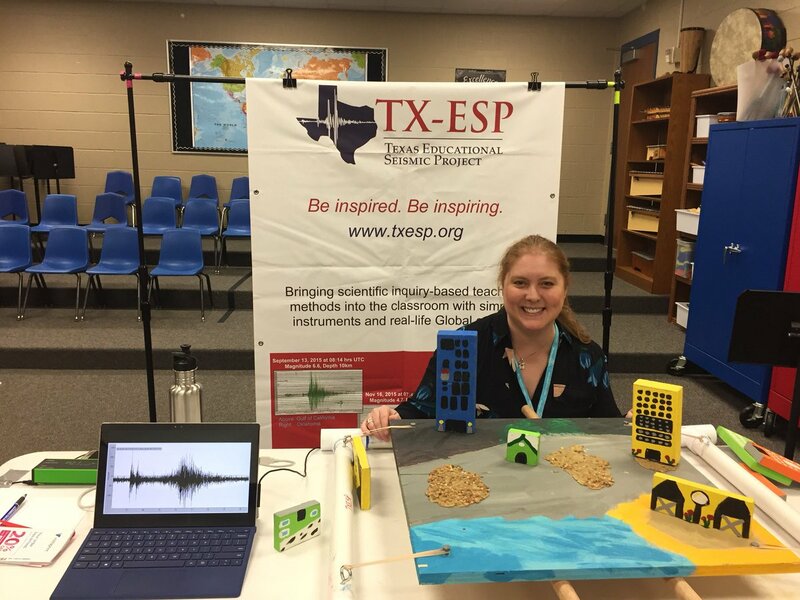 Texas Educational Seismic Project – Be Inspired. Be Inspiring. TEACHABLE MOMENT: Watch the videos, filmed during the shaking of two earthquakes in the Philippines, which provide two excellent visual demonstrations of the physics/engineering concept of a wave’s resonance frequency. When an earthquake’s wave(s) reach the equal an object’s resonant frequency, the object will begin to oscillate with the same period of the wave. THE BACKGROUND: In the past 48 hours, two major earthquakes have occurred in the Philippines. A magnitude M6.1 event happened on 04/22/2019 at 21:11 hrs UTC and was 12 miles deep; the latter event was stronger with a M6.4 on 04/23/2019 at 05:37 hrs UTC and was 34 miles deep. In the first video, found HERE, a sky-rise condominium begins to sway at the same frequency of the M6.1 earthquake surface waves, and thus, water from the rooftop’s swimming pool begins to pour over the side of the high rise building. Injuries are unknown at this time. The second video (found HERE) observes a hotel’s chandelier tiers swaying at different frequencies, dependent on the individual tier’s length, in harmony with the M6.4 earthquake’s surface wave periods. (<<< one “wave” may be comprised of several wave periods convolved together). Have you seen the movie “Contact” ? In this film, a father reminds his young daughter that small moves adjusting a radio antenna’s frequency is a more effective method to locating a ping back (another radio antenna operator on the same frequency). Similarly, small moves, or changes, in air temperature affects responses on the EQ1 educational seismograph…..more specifically, it yields a change in volume of the instrument’s dampening oil which, in turn, yields “apparent” ground movement. Liberally applying the Natural Gas Law, PV=nRT, when the dampening oil is exposed to a rapid increase in air temperature, the oil’s volume also increases. Another hypothesis is the external air pressure is lower than the oil’s current ambient state – when the garage door is lifted and the lower pressure air rapidly changes in the room, the oil’s responds inversely by increasing its volume. The hypotheses both suggest that a shift in volume pushes on the sensitive instrument’s balancing arm, causing movement which, in turn, is recorded by the instrument’s sensors. The result is an “apparent” ground motion event as shown in the image below. The takeaway – Scientists are users of their instruments, but they need to be learners of their instrumentation – understanding sources of data uncertainty, false recordings, and detection capabilities.